I was updating one of my favorite freebies today, and I realized it's been a while since I've featured some of my favorites in a blog post! Well, today I'm putting several of my favorites in one place to make your life easier! 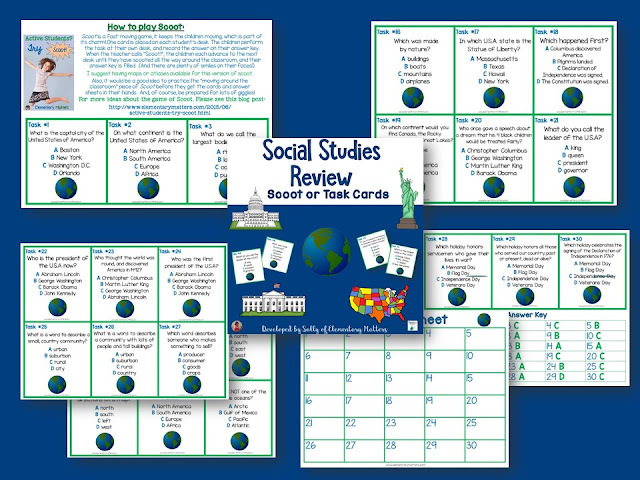 Let's start with this Social Studies freebie! This has special meaning to me because it's offered as a freebie in honor of a special young man. (See THIS blog post.) Click HERE or click the image to download. Need to work on some letter writing? 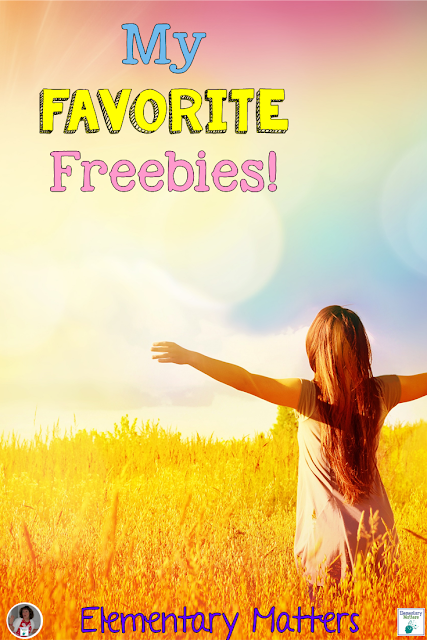 This freebie will make your life easier! It's got formatted letter writing paper, as well as an envelope to fold and print on the back. 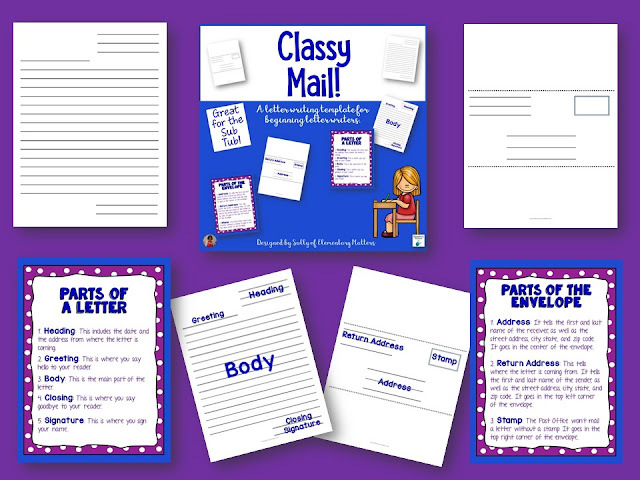 It also has some helpers and ideas to help with teaching the parts of the letter and the parts of the envelope. I love to use these in the sub tub! You can download Classy Mail HERE or click the image! I use this set ALL THE TIME for word work during guided reading. 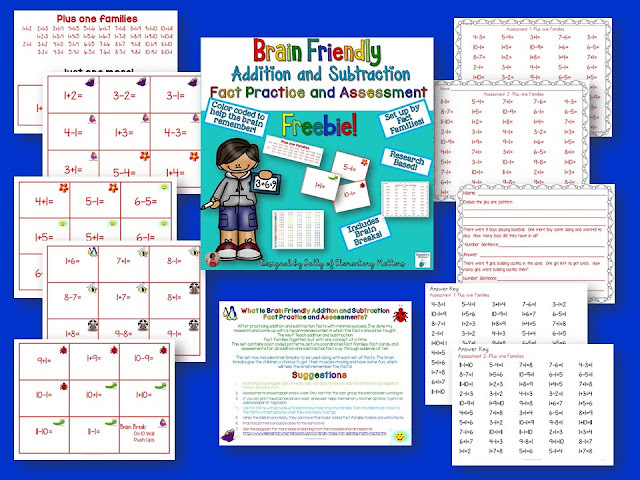 The freebie set provides practice with the vowel a. It has nonsense words and real words with short a and long a. I use it for word sorts as well as practice reading long and short vowel words. You can download it HERE or click the image! You can also download the full set with all 5 vowels HERE. This is one of my most popular freebies. I was helping my significant other with his golf camp one summer, and this game came to me. 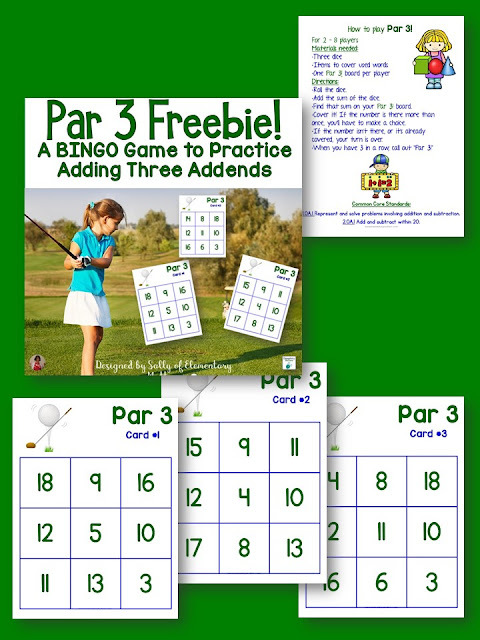 It sparked a series of "BINGO" games with different sports themes! This one practices adding 3 addends, and you can download it HERE or click the image! It's hard to find time to teach Social Studies and Science with all our other responsibilities. Since we know those kiddos need brain breaks, here's a chance to save time and combine the two. 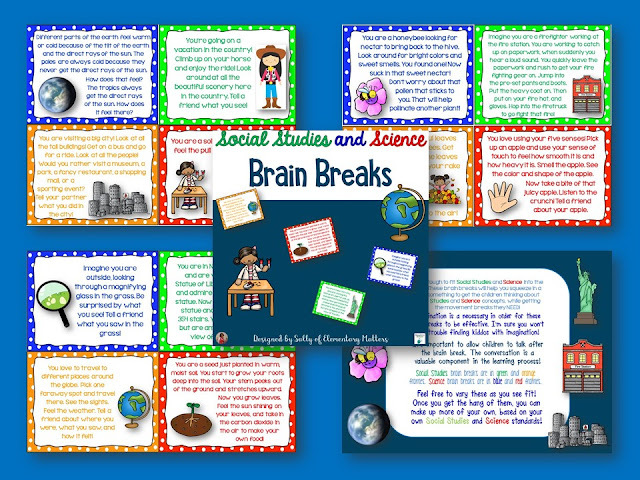 You can download Social Studies and Science Brain Breaks by clicking the image or click HERE. Good sense tells us if we present all 100 addition and 100 subtraction facts at once, it will be a bit overwhelming for the kiddos! This system presents only one pattern of facts at a time, by fact families, which makes so much more sense! This is the freebie set HERE. You can find the set of all 8 patterns HERE. 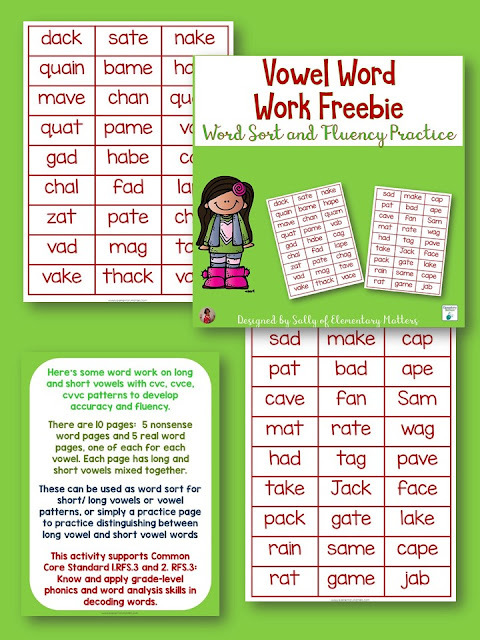 Here is another freebie that I use for word work with guided reading groups. 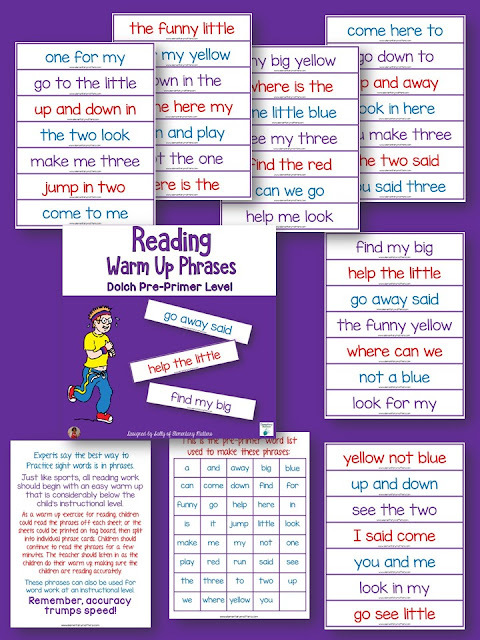 Research shows students should study sight words in phrases, so my kiddos practice these phrases! You can download these HERE. 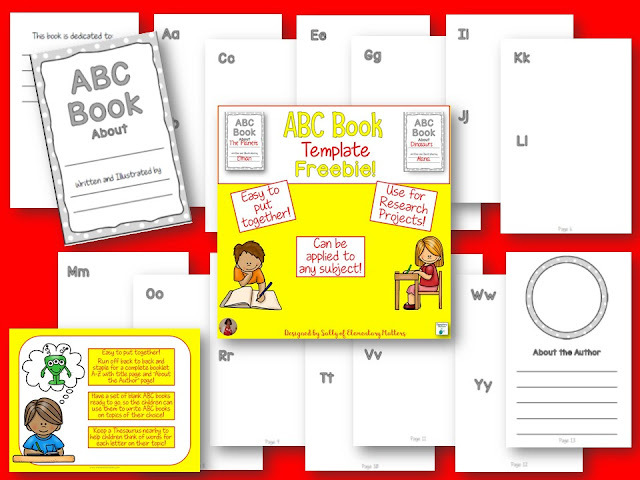 Finally, this ABC book is easy peasy to set up ahead of time, and have the kids create an ABC book on any topic! This is a great way to share information they've learned about a topic, and can be used at any level! You can download your ABC book HERE! This is a fun round up! Thanks for all the freebies! I like the Par 3.